Lunch Seventh Son with Etienne de Montille. Paul Déthune Blanc de Noirs - pretty fragrant nose, caramelized, and nutty. Kinda round on the palate, with a slightly acidic finish. 2008 de Montille Corton-Charlemagne - very buttery, with marmalade notes and a little flinty. Very ripe and round on the palate, but with a dry finish. Very enjoyable. 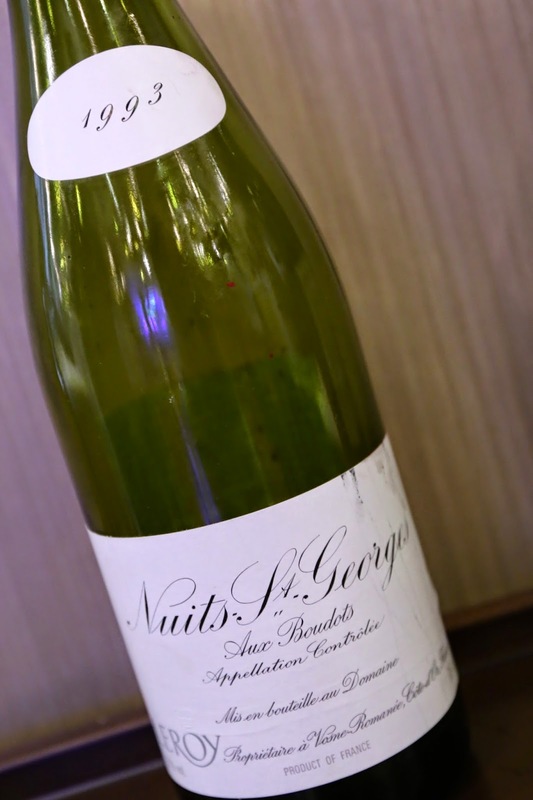 1993 Domaine Leroy Nuits-Saint-Georges Aux Boudots - nose of sweet grass, with a little leather and floral notes. Dry on the palate. The second pour delivered a nose that was so open and beautiful, which was ripe and sweet and almost jammy. 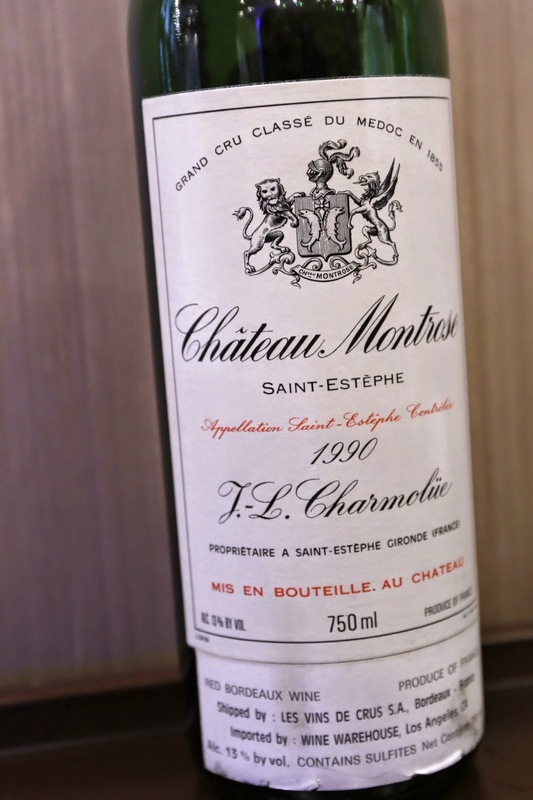 1990 Montrose - I was certainly not expecting to drink this wine again so soon. Nose of animal and leather. Almost a little stinky and savory, with some coffee notes. Very lovely, but probably needed a little more decanting time.